I have a friend who is going through sad days, maybe the saddest of her life. Someone she loves is very ill. But as she has done every morning for years, she goes to a nature preserve that is near her home, or she will just go out into her garden, and take photographs. But they are not just any photographs. They are pictures of magical moments when nature’s creatures stand still for her – owls, praying mantises, baby foxes, dancing birds. They pose for her, perform for her. I think it’s because they know she’s magical. She has published books of photographs taken in Valley Forge National Park and in Tanzania. She has photographed brown bears in Alaska. Years ago, I climbed the Great Wall of China with her, and saw it through her eyes. She is fearless in a way that magical people are: they see the wonders of the world, and they say yes to them – yes, yes, yes, they say, I see you. I know she is going to be all right. And this week, I sat with a friend who is dying of cancer. He told me a story of how, one wintry night, at a turning point in his life, he laid down on the ground, looked up at the starry sky, and became right-sized in the world. He cried when he talked about leaving the ones he loved, his wife, his daughter, and his grandchildren, and we who had come to visit with him cried too. But it was the magical story of the stars, and the look in his eyes when he spoke of it, that stayed with me. He is going to be all right, too. He told us so. If I believe in magic, if I see the Universe as something miraculous and benevolent, it is because people like these have graced my life – ordinary, mortal, magical people. They are not magical because they believe in a Universe that is manifested in the indescribable beauty of the stars, the earth, and the creatures upon it. They are magical because they see it. 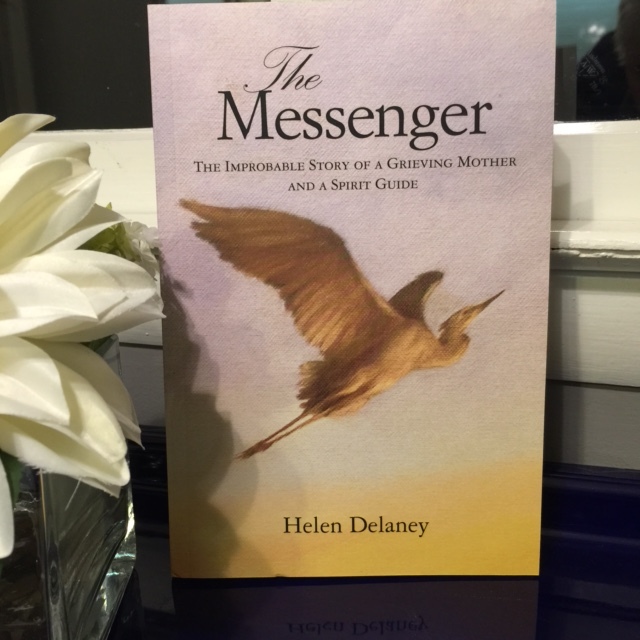 Read about other magical people in my book, The Messenger: The Improbable Story of a Grieving Mother and a Spirit Guide, by Helen Delaney. Available on http://www.Amazon.com. Yesterday, I got chocolate chip cookies in the mail. They were homemade, wrapped in cellophane, and tied with a ribbon, along with a note from a young woman I’ve known since her childhood. Her note said she’d had a dream about me. In her dream, I was dragging around a huge bag of chocolate chips and telling everybody that I needed cookies. When Bill died, this same young woman sent an enormous box of cookies, varied and exquisitely made. They were on my dining room table for the friends who crowded into my house after the service. Random acts of kindness? I don’t think so. They came at the perfect time, and in just the right quantities, appropriate in sweetness and love, as it were, to the pain in question. And let us not discount the dream. 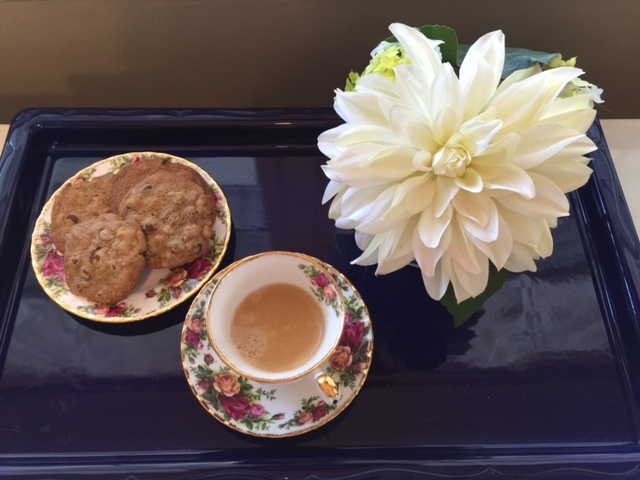 As it happened, I needed cookies. I watch the news on television, in the worst possible way. It is a terrible habit. In endless loops, I listen to stories of racial hatred, religious hatred, hatred in all its forms, violence, murder, war, and death. A few days ago, I must have reached a saturation point, because a bit of despair dropped into my spirit. My natural state is to view the Universe as benevolent (as my friends who have listened to me endlessly exclaim this will attest), but I had a moment of weakness. I came perilously close to believing that this world was more weighed down with hatred than with anything else, when something happened. A box of chocolate chip cookies appeared. Things like that happen consistently in my life. Say what you will, there is a pattern here. Call these occurrences coincidences, if you like. The thing is, these acts of kindness, small and large, reconfigure my energy. In that, they have great power. And I can, enriched by kindness, be kinder toward those I encounter, especially those who are difficult to bear, those who are suffering, or those diminished in ways I cannot understand. I can be kinder to myself, and turn away from televised pain. If the acts of kindness that come my way are mere coincidences, I accept them, as if I’ve won some sort of undefined lottery. But if they are genuine gifts of Perfect Love, in perfect time, I will believe that there is a Light in the world that is greater than all the hatred we can create. I have seen that Light, on occasion, as love in the eyes of my family. I have heard it in the voices of my friends, as they answer the call of someone in need. I have felt it in the hands of a shaman healer, received it from someone who can hear messages of hope from beyond this physical world. Sometimes, it appears in a story, like the one told to me by a Spirit Guide, and sometimes it comes as a box of chocolate chip cookies. Happy Easter to my friends who are celebrating a joyous Day of Resurrection, and Chag Sameach to my friends who are celebrating the joyous Festival of Passover. Update on the book: The artist who is creating the cover had surgery on his hand. It is healing. All is well.